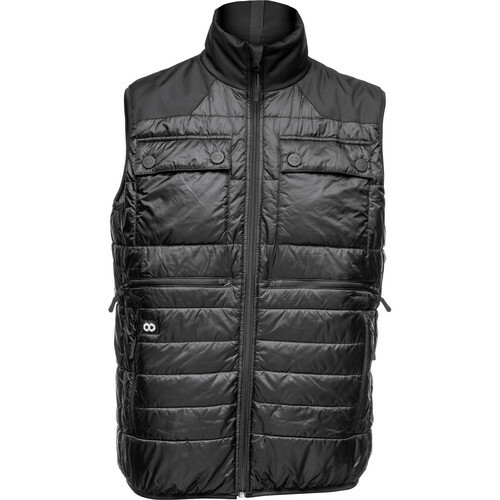 The medium black/anthracite COOPH Heatable Photo Vest features multiple pockets, a reversible padded design, wool insulation, and mini ripstop fabric. Use an optional 5V power bank with USB port or their optional THERM-IC Bluetooth Cable/Dongle to heat the vest. The THERM-IC also lets you control the level of heat via their phone app.